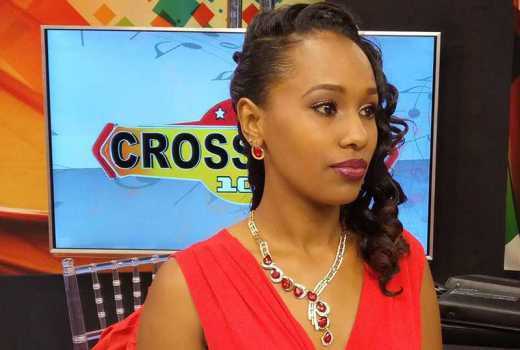 NTV host Grace Ekirapa has opened up about attempting suicide while she was still a teenager. Her confession comes just weeks after Bongo singer Lady Jaydee also shocked netizens when she announced she had contemplated suicide. Grace confessed attempting suicide in a series of video posted on her Instagram account. The Crossover 101 host reveals depression is what pushed her to attempt suicide. She reveals that she was surrounded by negativity in her teenage life and that she attempted to take her own life just to escape from her misery. Grace reveals that she first attempted to commit suicide when she was 14-years-old and in class eight. She swallowed 18 antibiotic pills hoping to died but she survived anyway. The second time Grace attempted suicide was when she was 17-years-old and in form 3. She swallowed 35 pills but still she didn’t die. “A lot of people don’t know this, but when I was in class eight, I attempted suicide. I took 18 pills, I was on some antibiotics, I was unwell and at one time I got to a point and said you know what I’m going to take them all the medicine that I had. 18 pills. Form three again I decided I’m going to do the same and I took 35 pills this time, because 18 didn’t kill me so 35 will, and you know what people did not understand why a 17 year-old would be committing suicide, a 14 year-old would commit suicide,” Grace Ekirapa confessed.